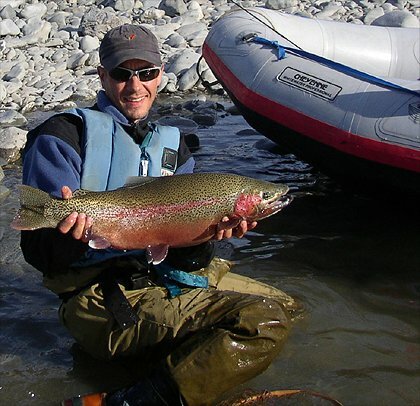 Kenai Rainbows Are Year Round Sport In Alaska! Year Round Rainbows on the Kenai! Pictured here is Shane Hertzog on a spring outing drifting the Kenai River. The rainbow was about 9 pounds with a 16 inch girth. Shane connected with the fish in late April on a hand-tied and dyed flesh fly pattern.